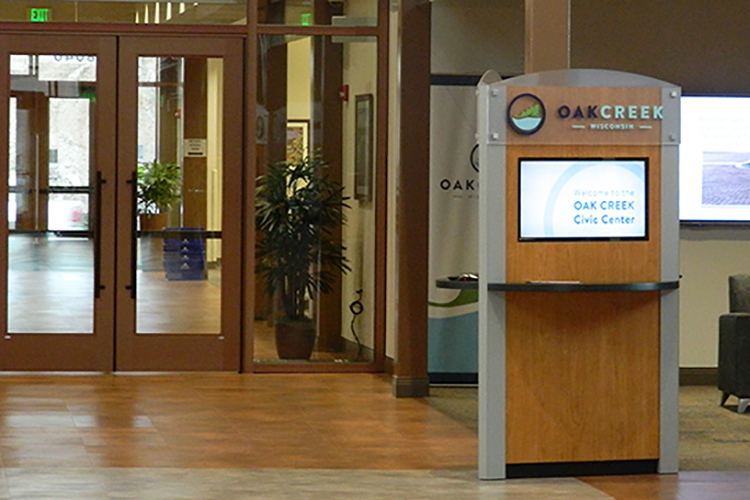 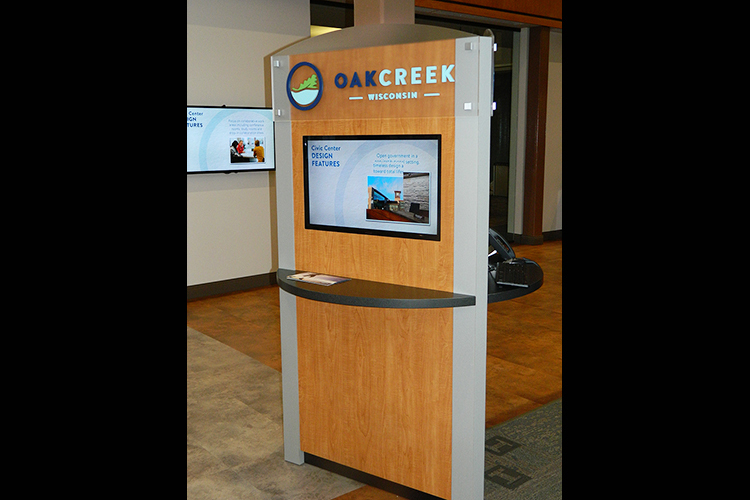 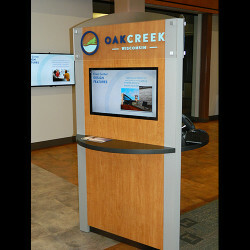 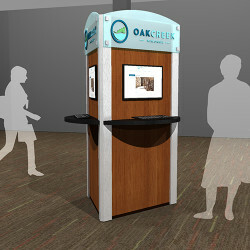 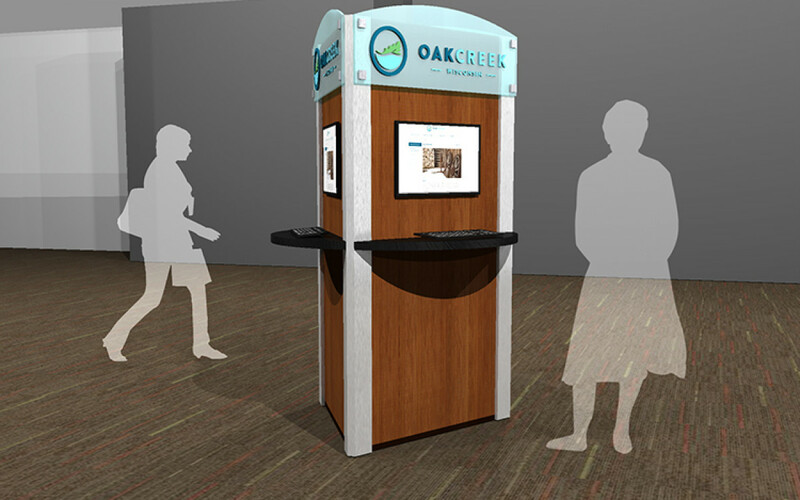 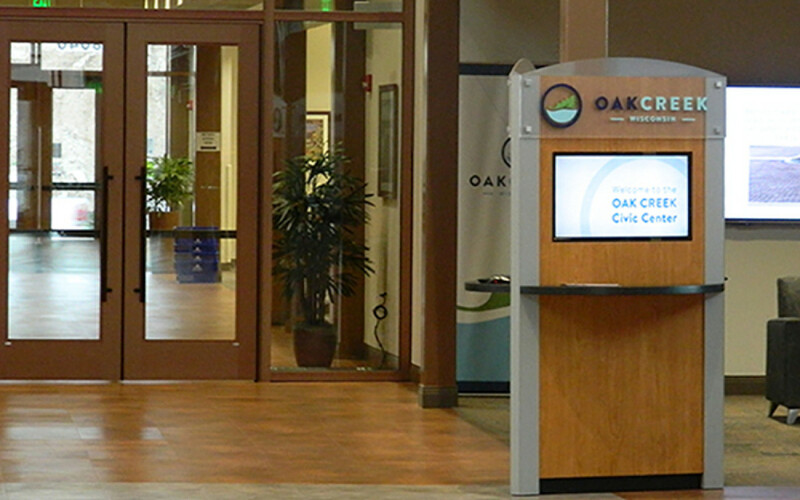 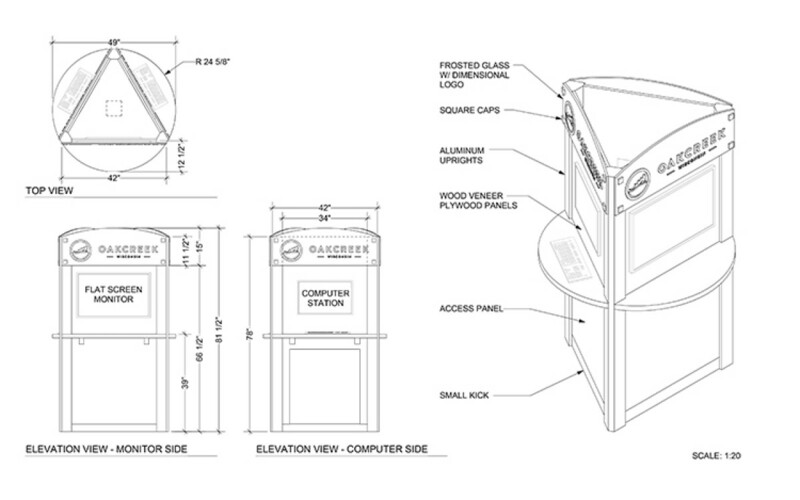 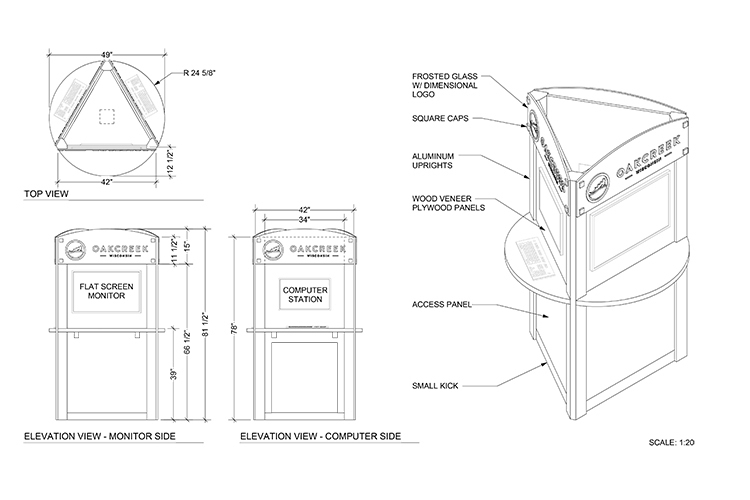 A custom designed and built information kiosk for the new City of Oak Creek hall and library. 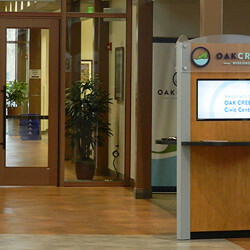 A custom designed and built information kiosk situated in the center of the new City of Oak Creek hall and library. 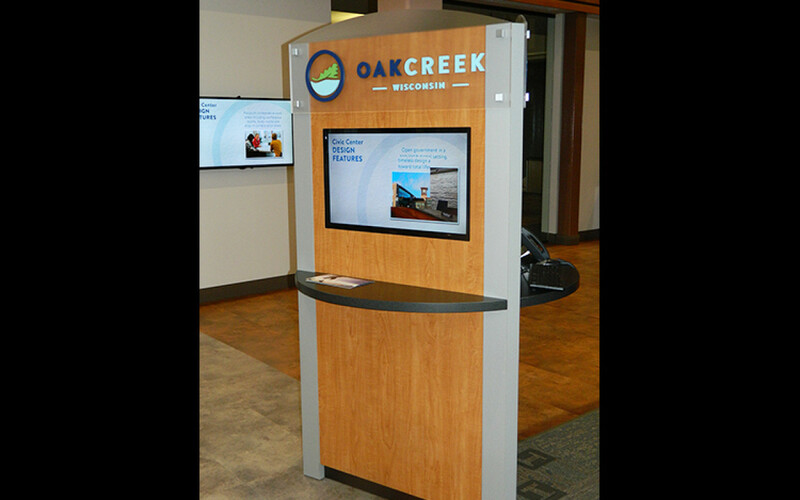 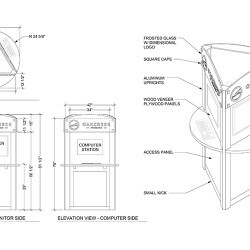 This kiosk was designed, built and installed by our designers and carpenters at Exhibit Systems and gives the client an opportunity for small computer workstations plus some extra branding in the center of the city hall lobby.